The EZVIZ 360 Plus Wi-Fi indoor camera gives users the ability to check their home security from anywhere, with added features like push notifications and two-way communication. Whether you’re upgrading your home to a Smart Home, or your office to a smart office, the number of products available that add a layer of connectivity continues to grow. The latest tech is all about compatibility with smart home voice assistants like Google Assistant, Apple Siri and Amazon’s Alexa, laying the groundwork for deeper integration into home automation. With the rising popularity of these interfaces, more and more smart products are making their way into our homes, turning what was once a niche industry into a common household presence. 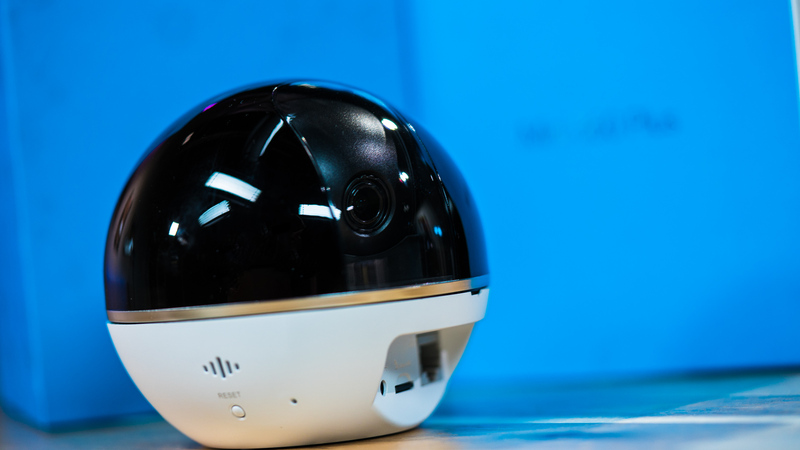 One of the trending gadgets to support a smart home setup are Wi-Fi security cameras. Adding a camera to your home is not only great for reactive security and providing peace of mind, but is pretty awesome to have if you are a parent or pet owner and want to check in throughout the day. Enter the EZVIZ Mini 360° Plus. Before using their home camera I didn’t know much about the brand, but as it turns out EZVIZ (pronounced “Easy- Viz”), is not new to home security. EZVIZ is a division of Hikvision, the world’s largest manufacturer of video surveillance solutions. It begs the question, does the legacy of quality surveillance carry over into the young EZVIZ? The EZVIZ Wi-Fi camera has a 1080p resolution-camera, which has low-light recording and clear captures in video and still image form. One of the first things that stands out when opening the EZVIZ Mini 360 Plus camera is its strikingly clean design, which reminds me of a Pokeball. About the size of a softball, the top of the unit is a beautifully contrasted black housing which protects the camera lens. Between the camera components a thin silver bezel nicely divides the base of the device where you find the power supply, memory slot and option for direct network connection tightly tucked aside. Installed in the corner of your home or office, the design of the device is smooth and won’t clash with your wallpaper or living room décor. 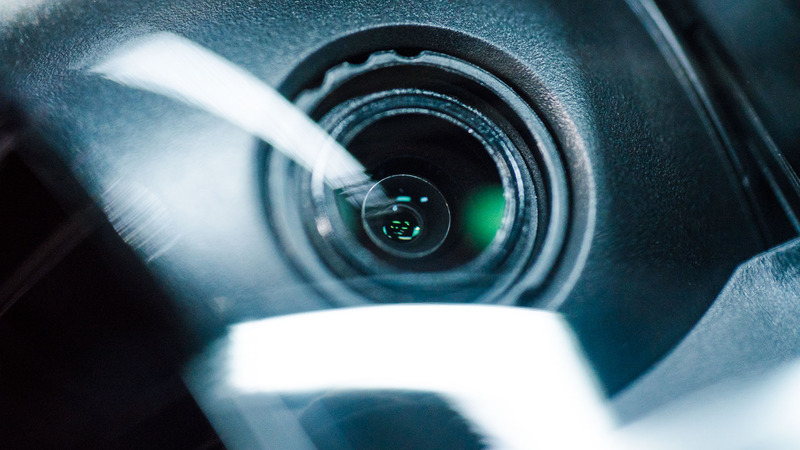 The EZVIZ app allows for remote viewing of the live video feed, push notifications for movement detection, auditory communication, and even enabling motion-tracking. Compared to other cameras I have previously set up, the Mini 360 Plus was one of the smoothest I’ve experienced. The EZVIZ app is downloadable through the iOS and Android app store which helps make the setup for this camera seamless. Upon starting the app, you are prompted to create an account with EZVIZ which gives you the option to link your video content to their private streaming service for a monthly premium. I personally choose to use the included 16GB MicroSD for storage, however the cloud storage is a good storage option especially if you are away and don’t want to worry about having to swap out SD cards. One thing that I didn’t like about the app was the inability to allow more than one user account to connect to the camera. In the future, it would be great to see a software update that allows multiple viewers per account. Once connected with the camera, the app interface has a fairly straight forward navigation. One of the first features I tested was the pan and tilt feature which offers a surprisingly wide range of views almost covering my entire living room. Though there was a slight delay in response time, the feature works well and offers a big advantage over more expensive Wi-Fi cameras that don’t have a 360° field of view. 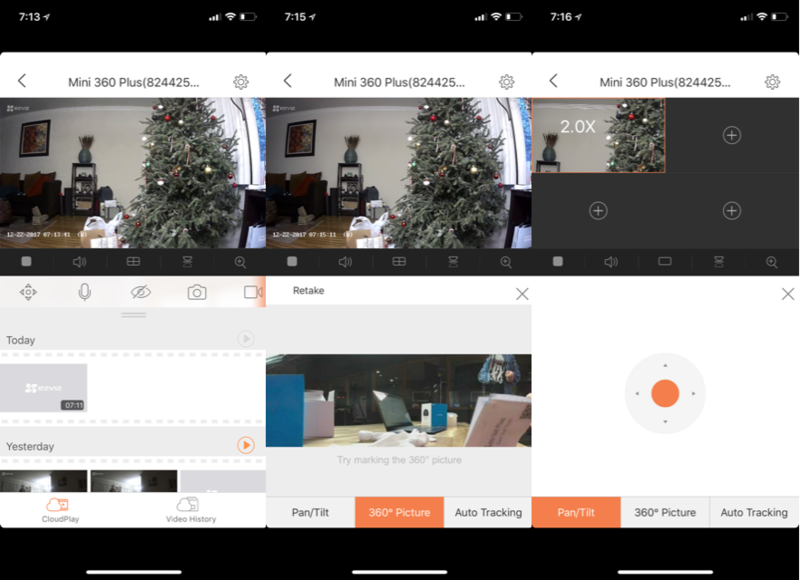 Within the EZVIZ app, users can control the camera movement on the horizontal axis, to capture everything in the room on video. With a listed 1080p HD camera, the Mini 360 Plus provides better than average camera quality for the price. Details in the video stream are clean and there is even an option on the app that allows users to take a snapshot. I found this to be a really helpful tool, especially when you just want to snap something as supposed to watching a complete video stream. To add to the cameras arsenal, the Mini 360 Plus also has night vision capabilities for low-light or complete darkness. After all, what good is a security camera without the ability to see at night? If there is one part of the camera that disappointed me most, the motion tracking feature is definitely it. In theory, the tracking feature is supposed to be able to track or record moving objects. The Mini 360 however had a lot of trouble properly identifying motion activities. The first time I walked by the camera it began to pick up my motion turning in my direction but then stopped without notification. The second time I tested it, I slowly walked directly in front of the camera, this time it picked up the motion but also showed the cameras limited tracking abilities. If motion tracking is an important feature for you, the Mini 360 does not currently have the hardware to deliver in that department. The Mini 360 has a setting that allows you to set the camera to activate or send an app alert once it detects motion of any kind. 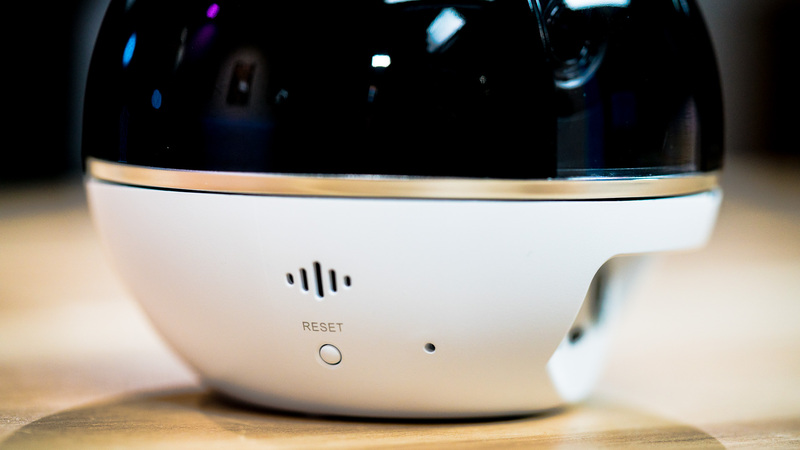 Coupled with IFTTT, you have the ability to program the camera to trigger actions with connected devices in your home or office. Actions like, turn on indoor lights, sound an alarm, play music, or really anything else you can think of are all programmable. The one feature that I found to be super useful (and potentially a little creepy) is the two-way communications feature. Using the app you can easily activate the mic and speaker system on the camera, to secretly listen in or speak to the people or animals in the room. I’ve seen this feature used on pets and it is a fun feature. In the event that your pet may be tearing into a couch or your favorite pair of shoes, the audio voice feature can be used to provide them with a voice that will surely remind them to be on their best behavior. 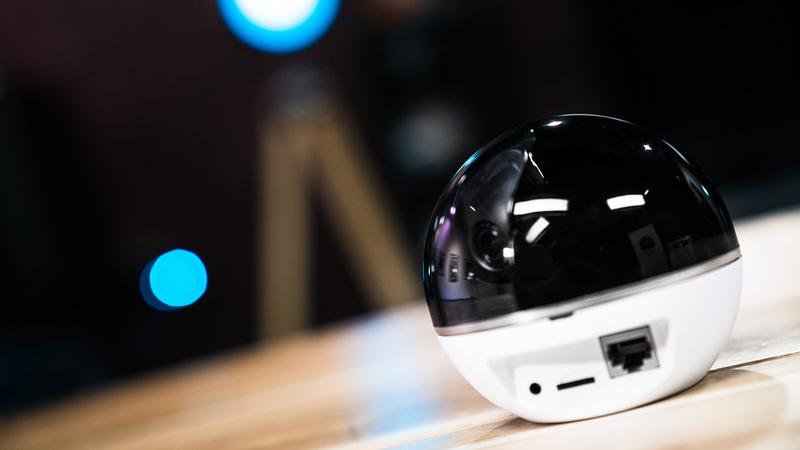 With a compact form-factor, sleek design, and impressive quality, the EZVIZ 360 Plus Wi-Fi camera is a great choice for those in the market for affordable indoor surveillance solutions. Having a camera as an extra set of eyes, to watch over your loved ones or to monitor the safety of your home is extremely valuable and has traditionally been something that cost a lot of money. If you are in the market for an affordable home security camera, the Mini 360 is a good buy for the money. The design, ease of setup and ability to be programmed via IFTTT make the Mini 360 a pretty versatile option to add some visual smarts to your smart home. Next PostWhat game console should you buy in 2018?